As the Egyptians are doing Massive Protests against the President Hosni Mubarak demanding him to quit as President of Egypt at same time they are also showing their anger towards United States and Israel. Protesters are raising slogans against United States and Israel and reason for this is that US and Israel has always supported Corrupt Egyptian President Hosni Mubarak during his 30 years rule. 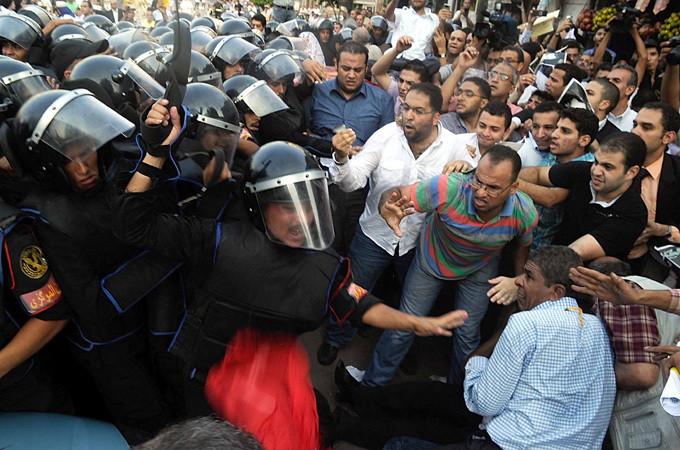 A Big parts of American Media is also doing Biased Coverage of Egyptian Protesters. Firstly they are not showing Protesters anger towards US and Israel and secondly they are more worrying that Egyptians may bring Muslim Brotherhood in Government if elections takes place. Name of Muslim Brotherhood was taken more than 38 times recently during a Talk Show on Fox News while talking about Egypt Situation.